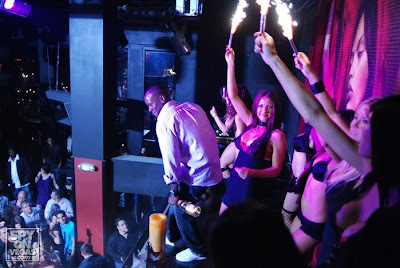 TAO GROUP BLOG TAO NIGHTCLUB LAVO NIGHTCLUB TAO BEACH LAS VEGAS: TYRESE GIVES AN IMPROMPTU PERFORMANCE AT TAO!! Sooooo, This past Saturday turned into quite a "TAO Night". What I mean by that is, having worked here for close to 3 years I've seen a LOT of amazing things happen in the club that we never saw coming, this past weekend was NO exception. Actor Damon Wayans was spotted dining with friends in the restaurant. Wayans dined on Kobe Beef, crispy lobster and shrimp dumplings and assorted sushi. Just a few tables away was Governor Jim Gibbons who arrived at TAO Asian Bistro at 10pm for a late dinner. Also at TAO was actor Billy Zane who was spotted dining with George Chanos, the former attorney general of Nevada.After dinner, Zane and friends headed up to the nightclub where they enjoyed their VIP table on the dance floor. UFC lightweight champion BJ Penn and WEC featherweight champion Urijah Faber were on hand at the nightclub celebrating Fight! Magazine’s one-year anniversary. Penn and Faber were also joined by UFC ring girl Arianny Celeste at their private skybox. The group enjoyed Grey Goose cocktails and shots of Patron.At around 3am, TAO Nightclub received a special surprise when R&B singer Tyrese took to the stage and treated the packed crowd to memorable impromptu performance. The crowd went wild as the actor and singer gave the crowd an unbelievable 45-minute performance MC'ing and singing some of his biggest hits including "How You Gonna Act Like That. "Also spotted in the nightclub was Cleveland Brown quarterback Derek Anderson who had a table in the moat section of the nightclub.